Our mission is great technology. Specifically, we help incubate great technology into the fabric of forward-thinking organizations. Your technology should be great, and it can be. But it requires substantial resources, consistent focus, skilled staff, and adept leadership. There is no shortcut. 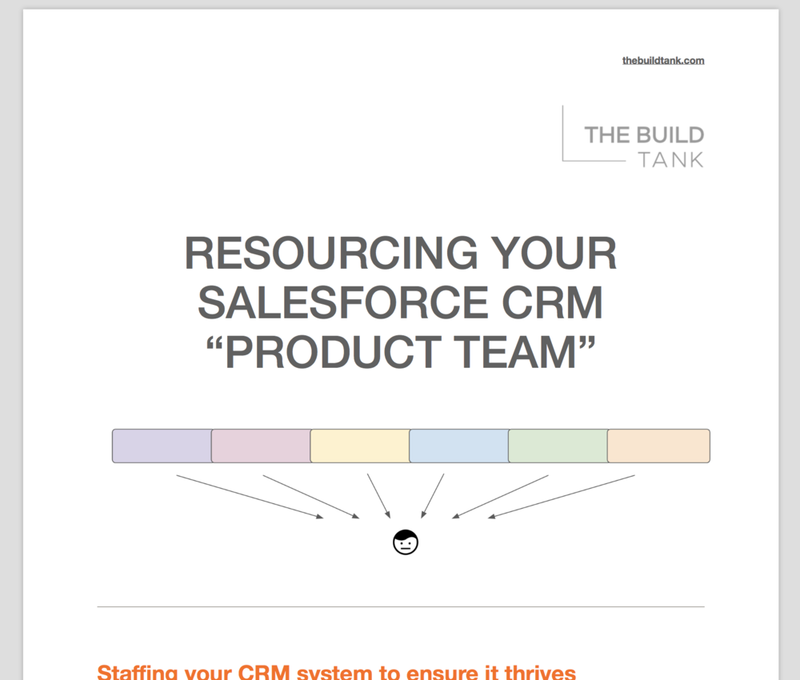 White Paper: Resourcing Your Salesforce CRM "Product Team"
Over the years we’ve worked with organizations to not just implement Salesforce, but to also build and incubate internal staff or teams who are ready to take full ownership of their system’s and organization’s success. This white paper offers models and specifics for how to put in place engaged, dedicated, thoughtful internal capacity to guide your technology. An evolving “curriculum” of bite-size writings, to help people quickly get their heads around our basic philosophy about running successful technology efforts using a "product team" framework. Product teams: The next wave of digital for NGOs? The era of the re-launch is over. How orgs can apply "product" principles to continually deliver the best technology. Adding a product team is a really simple concept, but in practice it ends up being a fundamental shift in how an organization approaches technology. See Smart Things We've Read for other resources and smart thinking.